This rare, ‘HC’ (Hors Commerce Proof – Not For Sale) lithograph is from the portfolio of twelve lithographs, entitled, Elles, one of Lautrec’s greatest achievements in lithography. 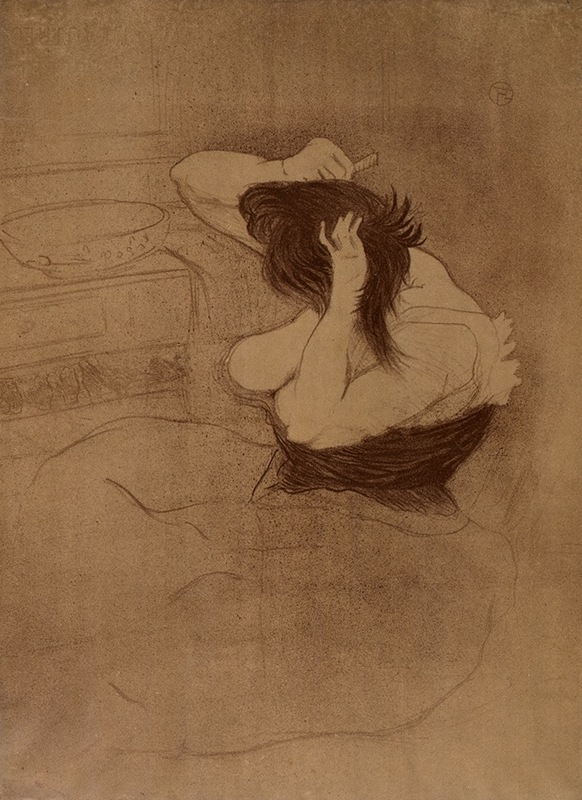 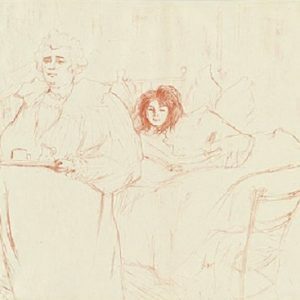 This series of carefully observed brothel scenes thwarts the expectation of the titillating or the tardy, instead presenting quiet moments of mundane intimacy between a lesbian couple, possibly the Moulin Rouge clown Cha-U-Kao and her partner Gabrielle, who both appear in other works by Lautrec. 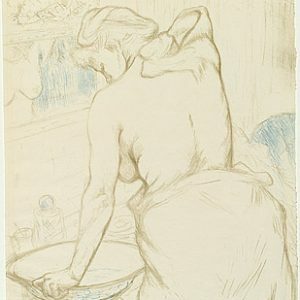 Likely inspired by an eighteenth-century Japanese precedent, Elles proved to be a commercial failure for it’s publisher – Gustave Pellet, who specialized in erotica – because it delivered not an exotic fantasy, but rather an intimate portrayal of women Lautrec knew firsthand and the milieu in which they lived and worked.